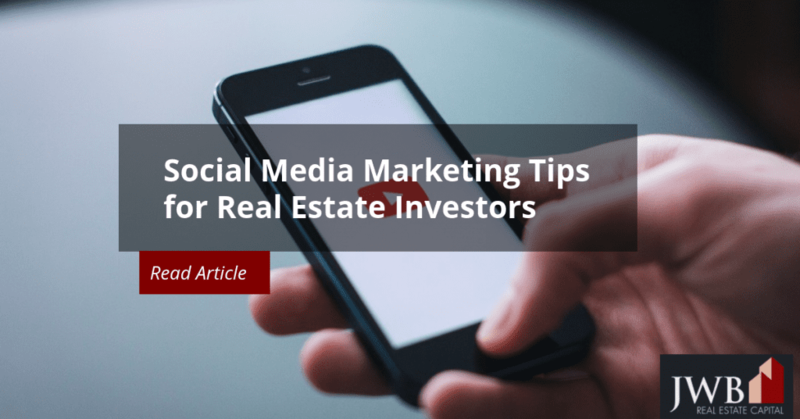 Having a social media presence as a real estate investor enhances your reputation in the online and real world. The effort requires your best foot forward to gain credibility in the online world, which in these times, matters. Before you establish accounts on the social media networks, define the words that will direct users to your site or pages. An investor who has a few rental properties in a single town or metro area should use the name of the place as a keyword, along with “rental” and a few other terms that would help internet users find the properties. If you’re putting up a website, you’ll want to create it and write content that will refer to the site with adequate frequency. This is called optimization and the rule of thumb is to identify a keyword or keyword phrase for the post that you use once for every 100 to 125 words. If you’re simply using social media to raise your networking profile online, you’ll need to define keywords as well, but your name, company name, or brand will need to be placed on each post you make, along with quality content. Don’t count yourself alone if it seems impossible to find things to share on social media. Look for ideas and issues surrounding the real estate market where you have your holdings, and draw on them for topics. It’s also important to use images for your posts, but if they’re not your own or you don’t have the license or permission to use them, search out websites that offer royalty-free, open source images. You can set Google images to filter out those that require copyright permissions to use. Although it’s not as social as Facebook, having a presence on LinkedIn will increase your online presence for both you, as an individual, and within the professionals in the LinkedIn community with whom you want to network. Regardless of how you achieve an online presence and use social media for marketing, it should be as professional as possible. Quality content always supersedes quantity. It’s better to forgo a weekly post than put up something irrelevant or not well thought out. Once written, you can use writing tools to take care of common issues like spelling, grammar and sentence structure like Grammarly, ProWritingAid, and Hemingway to polish your written content. Google owns YouTube, and establishing a channel on this site will help your website gain credibility with this search engine giant, and it will also put you in front of your target audience. It is time-consuming to put video and audio content on YouTube, but it may be worth it to drive up exposure. Besides video clips, you can upload PowerPoint presentations and audio files. YouTube accepts still photographs with audio behind them, and PowerPoint is a fairly easy application that combines the two. You can use it to create slide shows of your properties and document their neighborhood characteristics. Follow JWB Real Estate Capital on Youtube. Social media is a tool to use to gain exposure to like-minded others. It’s free to use and your outreach can open doors for networking opportunities to grow your business.